City Guide: Austin. Christine Nishiyama, Might Could Studios. Woo-hoo! The first city in my new series, Might Could City Guides is now up! I love traveling to other cities, and also LOVE doing the research to plan the trips! It’s weird I know. I love to plan. 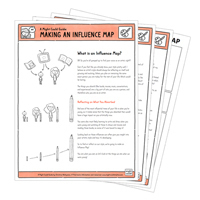 So basically I have all these spreadsheets, lists, and resources sitting on my hard drive, and I’m pulling them out and sharing them around! First up is Austin, Texas. I lived outside Houston for a few years before moving to Atlanta, so I was thankfully able to make it out to Austin every now and then to romp around! 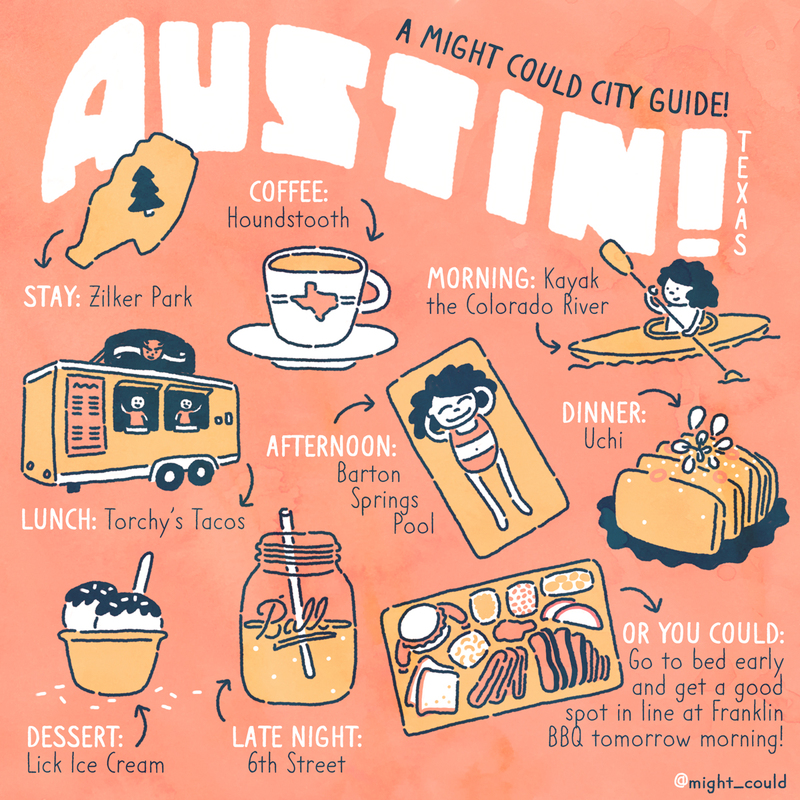 I’ve illustrated out my ideal Austin day above, and included the links to those things, plus more recommendations that didn’t make the cut for the illo but are still awesome! P.S. The Making Of video for this will be posted tomorrow on this blog and my YouTube channel! Torchy’s Tacos: Taco food truck! The Mr. Orange is my favorite. Veracruz Taco Trailer: Breakfast tacos! Lick Ice Cream: All about that Texas Sheet Cake! Plus, they have beet ice cream. Uchi or Uchiko: Uchi is my favorite restaurant! Uchiko is just the sister restaurant that is a little bit cheaper, but they’re both definitely special-occasion restaurants. Josephine House of Clarks: Brunch! Franklin Barbecue: The BBQ competition is fierce in Austin! Franklin’s always has a huge line, but if you get the chance (like me, when my dad, fellow foodie, was willing to stand in line and share the goods with us later!) it’s reeeeeeally good. The brisket is the Texas staple. Texas Two-Steppin’: Place to dance! Texas style.